While teachers are always reflecting on how to improve their practice, Wednesday early release time offers our faculty time designated time collaborate. 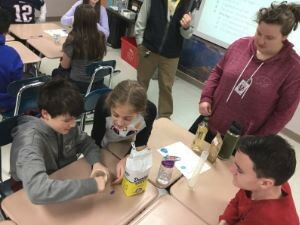 Teachers work between 1:00-4:00 pm within a variety of team structures, including advisory teams, departmental teams, and semester-long study groups led both by administrators and teachers to focus on schoolwide goals and priorities. This year, much of our professional development is focused on the goals of our IACS 2025 plan. One key area of development has been our shared work to develop the cultural proficiency of our school. In Cultural Proficient Instruction, authors Lindsey, Lindsey Nuri-Robins, and Terrell describe cultural proficiency in the following way, “Cultural Proficiency is the policies and practices in an organization or the values and behavior of an individual, that enable the person or institution to engage effectively with people and groups who are different from them.” Last Wednesday (January 9th), our entire faculty worked through examples of incidents of everyday bias and stereotypes and how we can respond effectively to them. This all-staff session was the second in a series of workshops scheduled this year. This week, we launched a new series of semester long study groups that address school wide goals. Examples of this team learning include collaborative curricular planning, peer review of instructional practices and dilemmas, and examining other perspectives related to cultural proficiency. My study group will be a reading Not Light But Fire: How to Lead Meaningful Race Conversations in the Classroom by Matthew Kay. This work is thoughtful, important, and also challenging. We are excited as it helps our staff be prepared to have equally important and challenging conversations in the classroom as we help our students understand and appreciate differences, value diversity, and embrace inclusion. As this work comes to the classroom, we’ll work to share out ways you can support these conversations. Thank you for your support; we know that having frequent early releases can provide scheduling challenges, however the time our staff spends engaged in deeper learning helps IACS continue to improve the student experience. IACS STUDENTS! 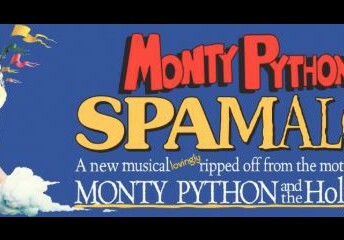 Until the end of January you can use the following code for reduced price ($6) tickets: "student." Please note that this reduced price is only for IACS students. In order to hold your child’s spot for next year, re-enrollment forms are due January 25th. Prospective Middle School families are invited to attend our final Open House on Thursday, February 7th from 6-8 pm. Please spread the word to friends and neighbors that could be interested. Greater Boston PFLAG is an organization that fosters LGBTQ-inclusive families, schools, and communities through support programs for parents/guardians, safe schools and communities programs, and advocacy. Greater Boston PFLAG will be presenting to our community (staff, families, and students) this winter. Families are invited to join us on February 5th at 7 pm for a presentation focused on LGBTQ+ issues and identities, including how to be an ally. 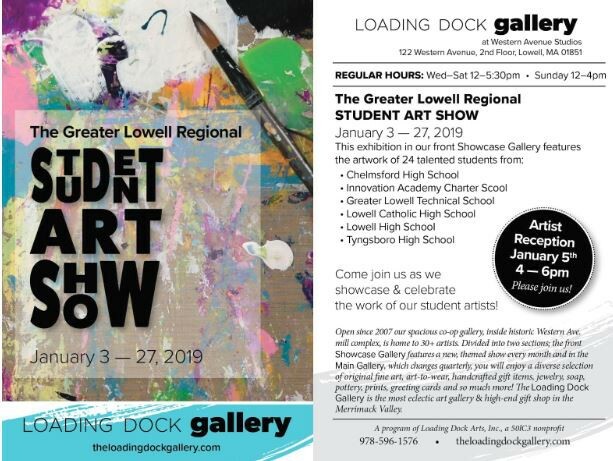 This is in advance of student presentations on February 28th. Please join us! 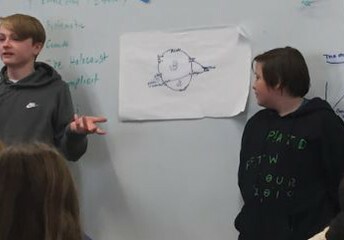 Seventh graders in ELA created and presented feedback loops to share their understanding of the issues at play in the novel A Long Walk to Water. Semester 2 begins on Tuesday, January 22nd. At the middle school, students will be shifting their semester-long classes. 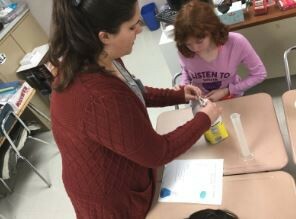 Students that started the year in Science will shift to Social Studies (and vice versa). Students that started the year in Wellness (Health and Challenge) will move to Art and Music (and vice versa). Please remind your student about finishing out the semester on a strong note, completing any outstanding work or revisions as needed. Semester 1 Assessments (Report Cards) will be distributed around February 1st. Students and families will receive an email when they are published to the portal. 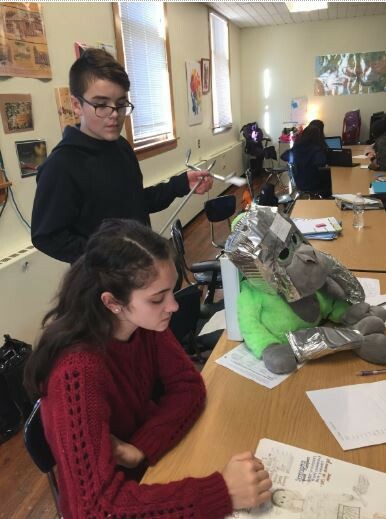 Seventh grade Social Studies students designed Roman gladiators and presented oral arguments to decide which gladiator would prevail. Congratulations to Emily Yurkus and Aiden Felty for being nominated for Senior of the Month. Emily holds the record for the most nominations by her peers! She is either a great campaigner (future politician?) or the nicest person in the school. Emily was praised for her work on the school yearbook, being a great friend, and for being kind and helpful to others. Aiden was recognized for his accomplishments both in the shotput and in the classroom. Aiden is an exceptional athlete, an excellent student, and a great community member. Thank you Emily and Aiden for representing IACS so well. 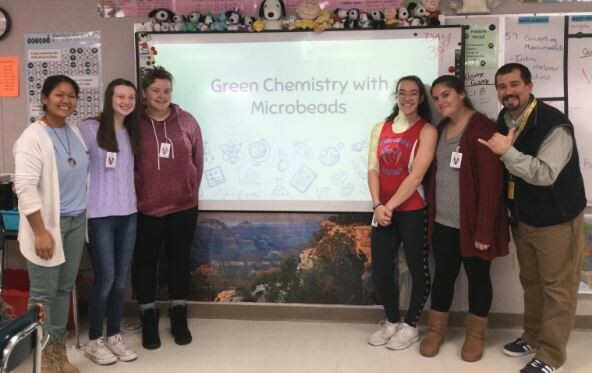 Thank you IACS Green Chemistry Team Members Cassie McKiel, and Annie Nealey, Leah Doucot, and Kaitlyn Koutsoufis (pictured with Ms. Derival, far left, and Parker middle school science teacher Mr. Maier, far right). Thank you for your important work in teaching others how to nurture our world through science! Snowcoming is 23 days away! Tickets will be sold during every lunch from now until January 25th for $10. Tickets purchased at the door are $15. Students that have not completed their community service hours for tardies to school may not attend this dance. Students were sent an email this week on how to request changes to their schedule for semester 2. 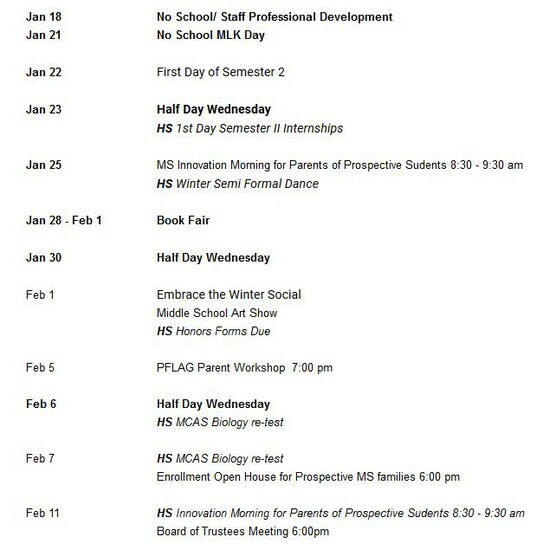 Requests for changes will be accepted up until 5pm on January 28th (5 school days after the semester begins on 1/22). 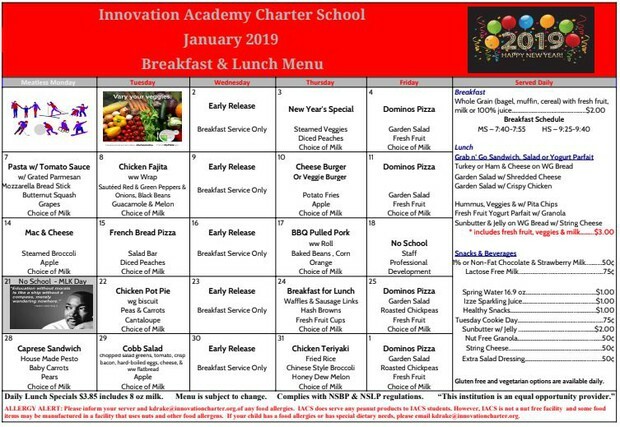 All changes that can be made will be done by the morning of 1/22 and students will receive a printed copy of their schedule during a short advisory block that morning. Last Friday the indoor track team competed at the Division 5 State Relay Meet in Boston. Our boys distance medley relay, Hunter Fagan, Phil Kustura, Will Hilliker, and Jack Benoit placed 5th overall. And our boys shot put consisting of Marcel Paolillo, Jeff Smith, and Aiden Felty placed 1st with a combined distance of 137’ 4” shattering the previous D5 record by 12’ 8”. Congratulations to these boys and everyone else who competed! GIVING BEAN FUNDRAISER, NOW THROUGH 1/31: Paperwork for this season’s fundraiser was handed out this week, though orders are accepted online with the organization name, IACA. Giving Bean roasts and ships direct to customers and makes a great gift or personal treat. The fundraiser runs through January 31. WANT TO HELP AT THE BOOK FAIR? Our winter book fair is next week! Can you help? We are looking for a volunteer to assist with set up on Friday, January 25, as well as additional staff for the 10-1 shift on January 28-February 1. Contactkellyfrawleyash@gmail.com if you can pitch in! 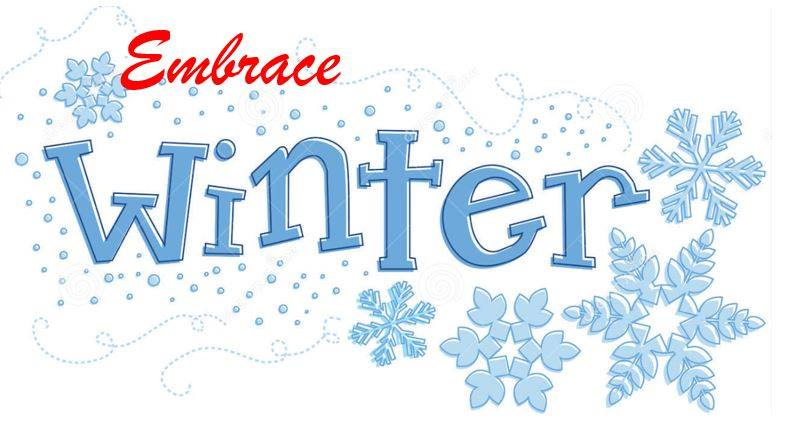 VOLUNTEERS NEEDED: Our annual Embrace Winter social is right around the corner. Can you help? We need volunteers to help staff the event and DONATIONS for our marvelous basket raffle. We’ve even made it easy for you to donate with PayPal. SImply visit our website and click to donate. All donations will fund the purchase of items for our themed raffle baskets. Contact Angela Caputo Griswold if you can help out! LET’S DANCE! 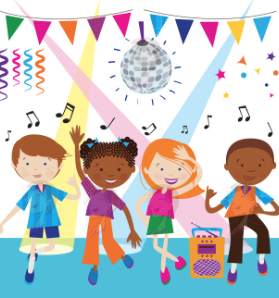 WINTER SOCIALS: This season’s middle school dances are scheduled for Friday, March 1 for grades 7/8 and Friday, March 8 for grades 5/6, 7-9 p.m. Chaperones are welcome, as are donations of packaged snacks and Capri Sun juice pouches. Contact coordinator Fabiane Kelley at fabykelley@gmail.com to help out.